more than double your insurance settlement amount. You never think it will be you who suffers a serious injury on the job, until it happens - without warning in a split second. The truth is, each year there are more than 30,000 workers' compensation claims filed in Colorado cities like Denver, Boulder, Aurora, Ft. Collins, Colorado Springs and throughout the state. If you or a loved one have suffered an injury at work, you should receive workers' comp benefits from your employer or their insurer. However, it's unfortunately not always this cut-and-dry. Being forced to fight for the benefits or settlement you deserve can take a huge toll on you and your family. You need a Colorado workers' compensation lawyer on your side when dealing with an on-the-job injury. You need The Babcock Law Firm. For Mack Babcock, workers' compensation isn't just another practice area - it's his main focus. He found that he could compete for a personal injury case, but his colleagues would refer all the workers' compensation cases to him without question. Eventually, he just accepted his specialty. Schedule your free workers' comp case evaluation now. No cost - no commitment. Colorado workers' compensation involves a legal mountain of statutes, regulations and procedural rules that govern the benefits an injured worker is entitled to and how those benefits are paid. These laws also specify the complex procedure to be followed when there is a dispute between the injured worker and the employer or their workers' compensation insurance company. You can bet your employer and the insurance company know these complex guidelines inside and out. They also know that working through the statutes and rules is confusing and frustrating for the injured party – you. They use this to their advantage to make sure they pay as little benefits or settlement to you as possible. You need a Colorado workers' compensation lawyer, working on your behalf, to protect your rights and make sure you receive the benefits you're entitled to. Statistics show that injured workers represented by attorneys receive settlements that are more than four times the settlements of those who aren't represented, according to the Colorado Division of Workers' Compensation. The Babcock Law Firm is in your corner. We know how employers and workers' compensation insurance companies operate. In fact, R. Mack Babcock used to represent these companies before founding The Babcock Law Firm. Now, he uses that experience to help workers injured on the job obtain the benefits and settlements they deserve. "We will never represent an insurance company or other member of corporate America." - R. Mack Babcock said in a recent interview. 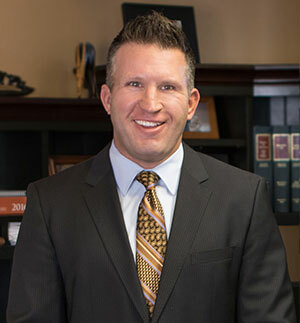 "Everyone at The Babcock Law Firm is very professional, made sure you understood everything before moving on. If I had a Question, I would email usually and they would respond in a very timley manner. Usually when you hear the work Lawyer you cringe and think they are going to take advantage of you. However Bacock Law Firm "Did Not" They really worked their heart out for you. And when I say that they really care about you and what you've been thru on a personal level. Thank You to the Babcock Law Firm"
You might think if you're injured at work your employer will do what it takes to help you get through the injury, taking care of you and your family. Unfortunately, many workers find reality is a different story. After all, businesses have profits and losses to account for, shareholders to report to and a bottom line to consider. Most employers have human resource directors, office managers, risk managers and other employees whose sole jobs are to try and minimize the costs associated with any work injury. Time and time again, we have seen relationships between faithful, hard-working employees and their employer change for the worse after a work injury. It feels like just when you need their support most, your employer simply views you as a cost. As you consider hiring a workers' compensation attorney, it's important to realize that employers are also relying on workers' compensation insurance companies and their lawyers to help them minimize costs by undermining your injury claim. We invite you to discuss the details of your Colorado workers' compensation claim with a lawyer at The Babcock Firm - whether you're in Denver, Littleton, Boulder, Aurora, Broomfield, Louisville, Lafayette, Golden, Thornton, Westminster or another CO city. If your case falls within our practice area and we feel our representation can benefit you, a workers' compensation lawyer will meet with you for an in-depth consultation at no charge. Without a workers' compensation attorney, you're facing a difficult uphill battle. At the Babcock Law Firm, we're here to help you secure a successful settlement for your workers' compensation claim. Request to see a doctor. Request and complete a workers' compensation claim form. If mentally and physically able, notify your employer of a work-injury claim in writing within 4 days of the accident. Contact a workman's compensation attorney to discuss your legal rights. Is there a time limit to file workers' comp in Colorado? Yes. The time period within which a workers' comp claim must be filed is known as the “statute of limitations” and they vary state by state. In Colorado, it's important to report your injury and file a claim as soon as possible. In most cases, an injured worker has two years to file a claim, although a judge may allow up to three years depending on the case. Within 20 days Insurer Files an admission or denial of liability after receiving notice of an injury in cases where lost time, permanency, an occupational disease or a fatality occurs or at any time where a claim has been filed with the Division. Can my employer fire me while on workers' comp? If you've been injured on the job in the state of Colorado, it's technically legal for an employer to fire you during the process of a workers' compensation claim. However, employers are not legally allowed to fire employees out of retaliation because of the claim. They must present valid reasons for the termination. Colorado employers have to show just cause that an employee's actions were somehow responsible for their firing. If you believe your employer has unjustly terminated you in response to your workers' compensation claim, it's in your best interest to call a qualified workers' compensation attorney immediately. What does workmans compensation cover? Workers' comp pays for hospital and medical expenses that are necessary to diagnose and treat your work-related injury. Find out more about your benefits available under Colorado workers' compensation. Can I see my own doctor to be diagnosed with a work-related injury? If you require immediate medical attention following an accident, you should go to the nearest emergency room for treatment. In non-emergency situations, you'll have to obey your state's laws regarding the proper ways to receive medical care. Certain states allow the employee to pick the physician who will treat them for their injuries, whereas other states provide employers that right. In Colorado, the employer or insurance company has the right to select the physician that employees must use for treatment of work-related injuries. This becomes your designated medical provider. While you must visit a designated doctor chosen by your employer or their insurer, you certainly have the right to get a second opinion. Can I be Denied CO Workers' Comp from Smoking Legal Marijuana? What if My Workers' Comp Doctor is not Providing the Proper Care? Do I Have to Pay Taxes on My Workers' Comp Benefits? Can I Get Fired after I File a Workers' Compensation Claim? Colorado Workers' Comp Guide Free eBookA one-stop resource which is specially designed for injured workers and family members. Guide to Obtaining Your Workers' Comp BenefitsLearn more about Colorado workers' comp benefits that an experienced attorney can help you obtain.